If you weren’t aware that Pilsen is home to one of Chicago’s greatest food scenes, this list will make you well aware. The eclectic Pilsen neighborhood on Chicago’s Lower West Side is abundant in its diverse scene of people, art, history, and food. From Vietnamese dishes to Latin American richness, our friends at The Infatuation have rounded off 14 of the very best restaurants in Pilsen. Pilsen has something for everyone. Want a giant plate of carnitas with fresh, crisp pork rinds? You can get that. Prefer listening to live music while eating BBQ? Also possible. And if a Vietnamese tasting menu sounds ideal to you, that’s an option as well. Here are 14 of our favorite spots to check out in the area. 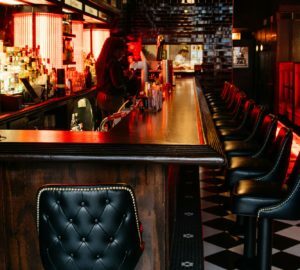 This is our favorite spot for a night out in the neighborhood. It’s hard to definitively classify the food at S.K.Y., but most of it is Asian-fusion-ish, and everything is excellent. 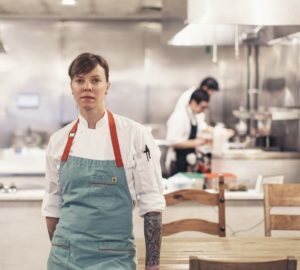 You can expect things like lobster dumplings in a buttery lemongrass broth and foie gras bibimbap – and if you can’t decide what to order, try the six-course tasting menu for $49. The space has an industrial feel, with exposed ductwork and brick, and plays the kind of low-key indie rock music that will make you feel like you’re at a chill house party. You really should eat here, even if you’re not already in Pilsen. HaiSous is from the former chef of Embeya, a popular West Loop restaurant that closed in 2016. Like Embeya, this spot serves Vietnamese food in a nicely-designed modern space with really friendly service. There are traditional dishes like a papaya salad, crispy chicken wings, and mussels in a fantastic coconut broth. If you’re looking for punch-you-in-the-face flavor, you won’t find it here – everything is pretty mild. But the food is consistently good. This is where we take our family visiting from downstate when we’re in the neighborhood. Many great Mexican spots in Chicago have some kind of connection to the city’s culinary overlord, Rick Bayless, and 5 Rabanitos is no exception. It’s owned and operated by someone who used to work for him, and it’s putting out lots of delicious, affordable food. We like the tacos, anything from the huge vegetarian menu, and especially the very, very spicy torta ahogada. Come on a weeknight for a casual (but probably loud) meal, or on the weekend with a group of friends – just remember to BYOB. The giant display of pork rinds by the door is a good indicator of how you should be ordering at Don Pedro. You’re here for things like carnitas, pork rinds (clearly), and brain tacos – get the mixed plate so you can sample a bunch of stuff. There’s always a line, and there are only a few tables inside, so plan on stopping by for a quick lunch or dinner. Dia De Los Tamales is a counter-service spot serving fusion tamales filled with things like buffalo chicken, Italian beef, and coconut curry. They also have a traditional pork tamale, but our favorite of all the options available is the one stuffed with goat cheese and roasted red pepper. If you’re having trouble choosing, go for that. It might technically be in Little Italy these days, but we’re including Jim’s Original in this guide anyway. Jim’s is credited with serving the first grilled Polish with onions and mustard, back in the 1930s. At that point it was located in the old Maxwell Street Market, which used to be in Pilsen, and that’s where Jim’s Original’s heart remains. You may have to take a quick drive out of the neighborhood to get here now, but it’s worth it. 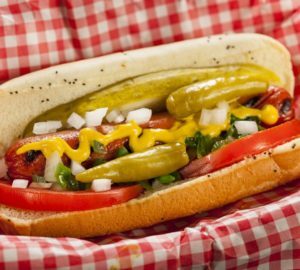 This is a Pilsen classic, and a very good hot dog. An upbeat spot with a stage and live music throughout the week – plus some solid BBQ. Try to get here early, before the rib tips run out, and make sure you also order the brisket chili that comes with mac and cheese in it. Just don’t count on actually doing any dancing. If you eat the appropriate amount of BBQ, you’ll probably want to go home and take a nap instead. Birrieria Zaragoza, in Archer Heights, is our favorite place for goat tacos in Chicago. But this spot is a close second. The beef tacos are a solid order, too, but you’re mostly here for the goat (in tacos and stew form). Even if you don’t generally eat a lot of goat, we suggest giving it a try. It’s cash only, FYI. Tres leches cake is all the rage at this place, and it absolutely lives up to the hype. This is mainly a bakery, but you can sit down with some coffee and a sweet snack from the small, but good, menu. It’s perfect if you like cake and need to get some work done – just don’t think you’ll be the only one with that idea, since there’s WiFi and plenty of available outlets. You might have noticed that Pilsen has a lot of great carnitas spots. Carnitas Uruapan is another one of them. It’s been around since 1975, with no signs of slowing down. Eating a whole plate of carnitas is likely to slow you down, though. In a good way. 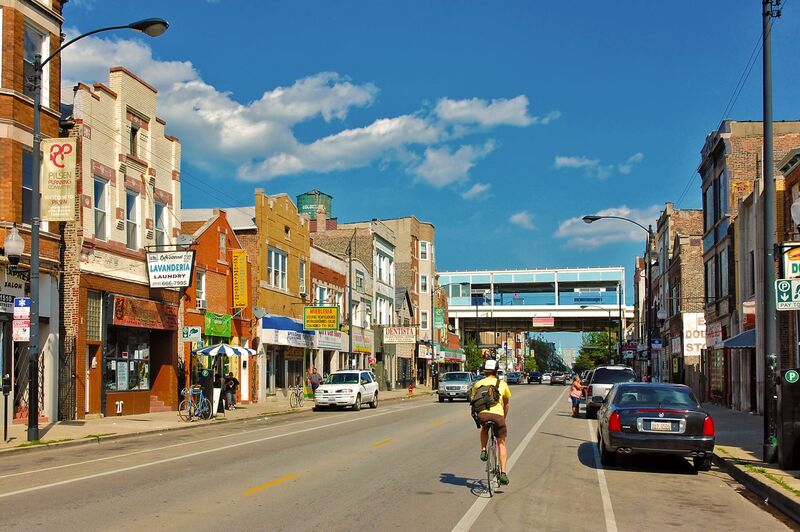 When shopping in Pilsen, stop in at Realty of Chicago. 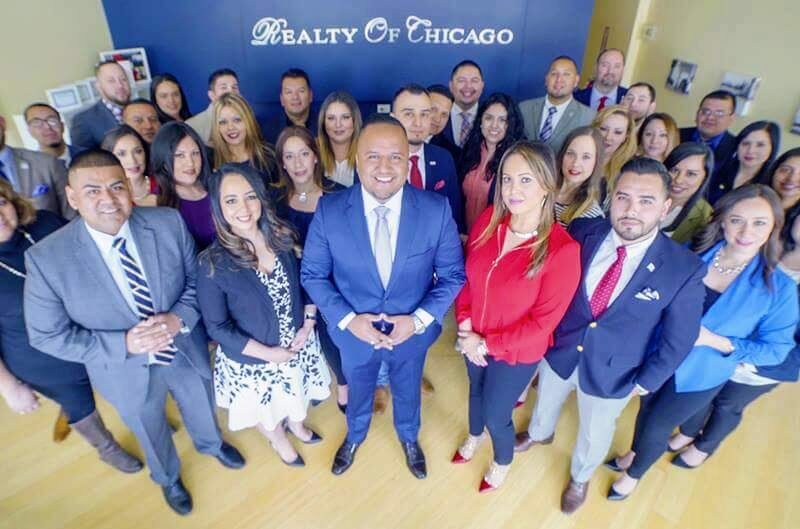 They are a great resource for buying and selling homes, also they really know their neighborhoods, like Pilsen. They can give you their favorite places to eat. Ask them. Watch them in action in this video.